People love to see a more human side of your brand behind the fancy logo and brand name, and with Stories, you can take your followers on a very personal and engaging journey. Having a cool and whacky story can increase `swipe-up` rates! 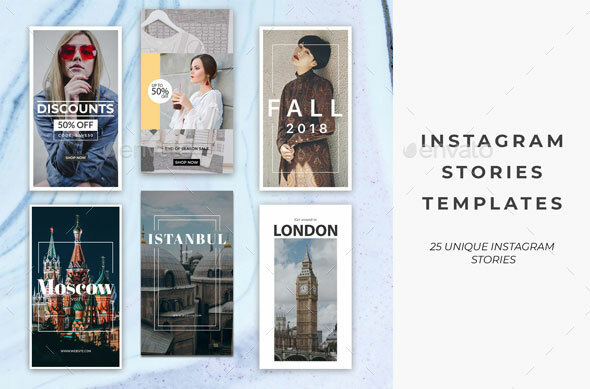 To help you increase the chances of getting your Story featured and get tons of exposure, in this post I`ve compiled 25 best PSD Templates that you can use instagram stories to promote your business. 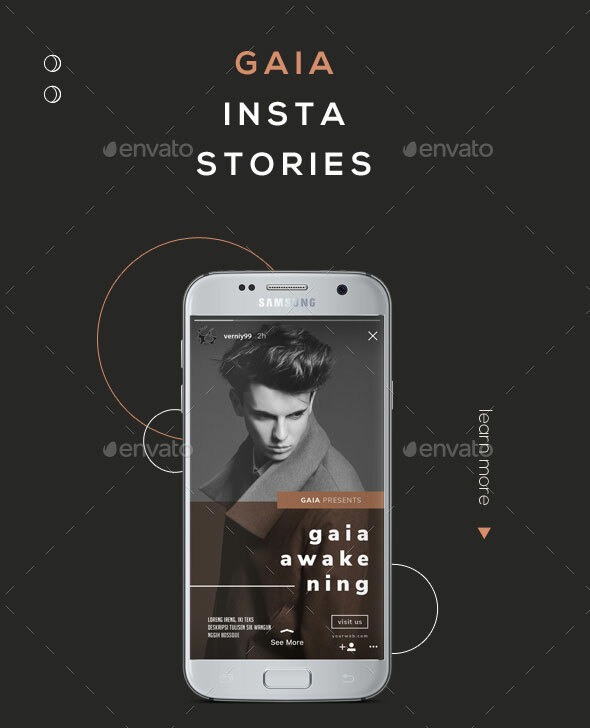 Create outstanding Instagram Stories with this modern and stylish collection of PSD designs. Boost your sales and increase your earnings through the promotion​ of your products on social media. 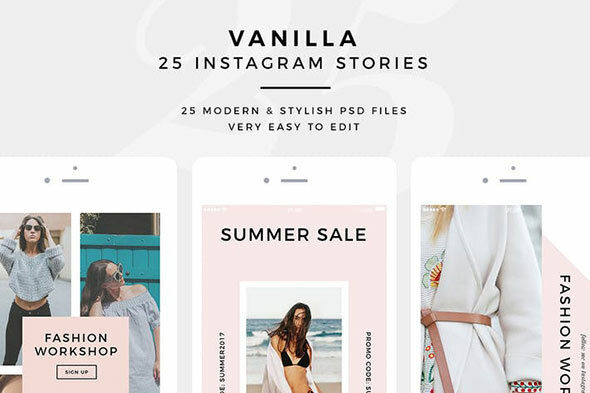 These 25 pre-made Instagram Stories will help you reach your goals. 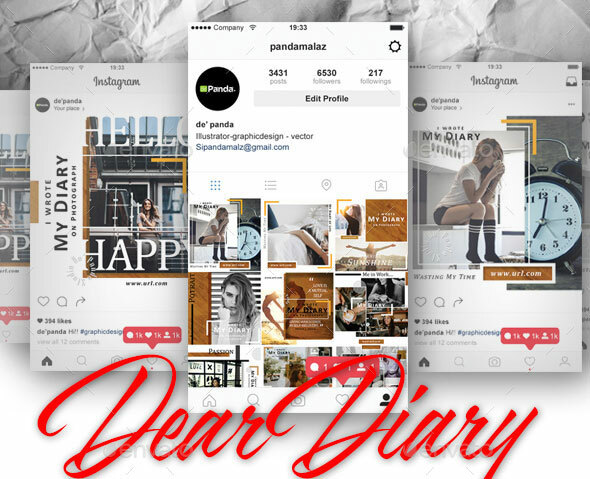 Ready to use Shop Instagram Stories will inspire you and your followers. Change the text, colors, images, strokes and shapes to achieve the best result you want. 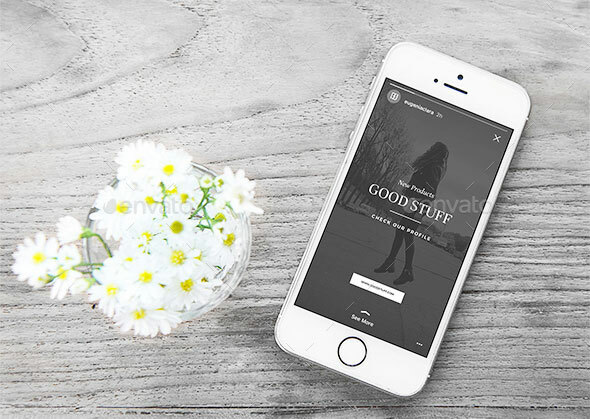 Mix and match to create your custom stories, and achieve the best impact to your followers. 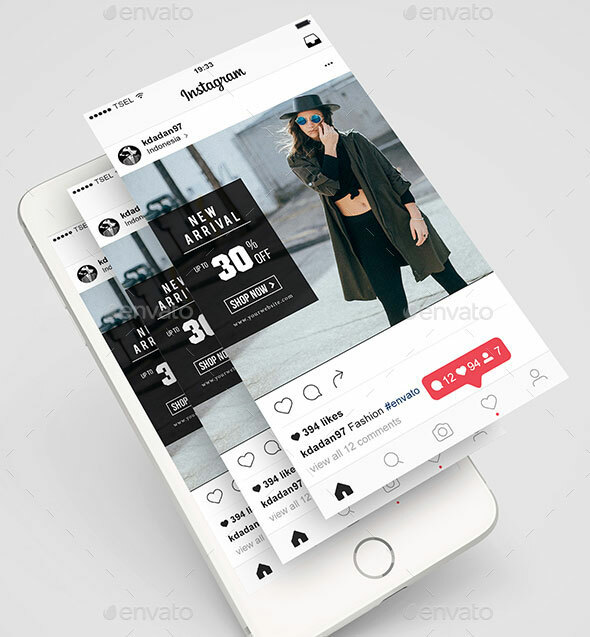 Engage your follower on instagram using our beautiful Instagram Stories Template carefully crafted by Atensi. Get your brand stand out among other big brand. Suitable for any business from restaurant, brand awareness, photography etc. Easy Photo Replace with Smart Object. 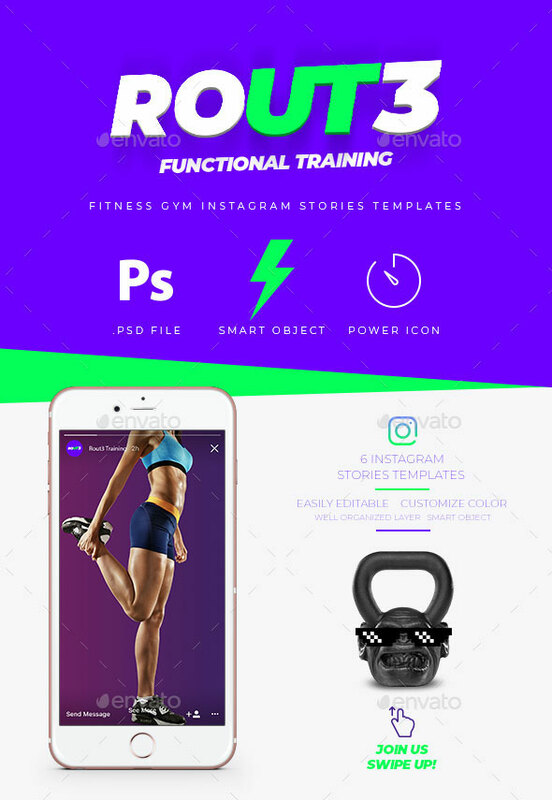 This project helps you to create fantastic instagram stories or posts in your instagram profile. 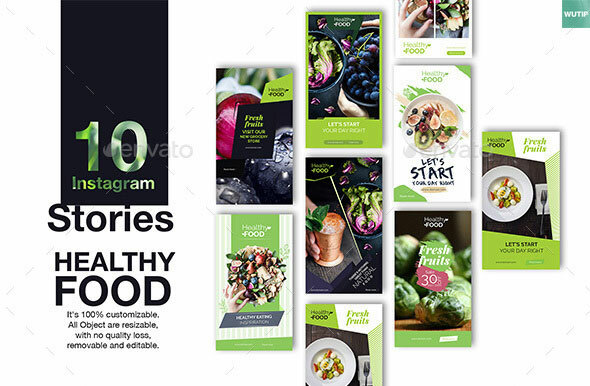 You can use these layouts for your business, promotion and advertisement of your products or for personal using. 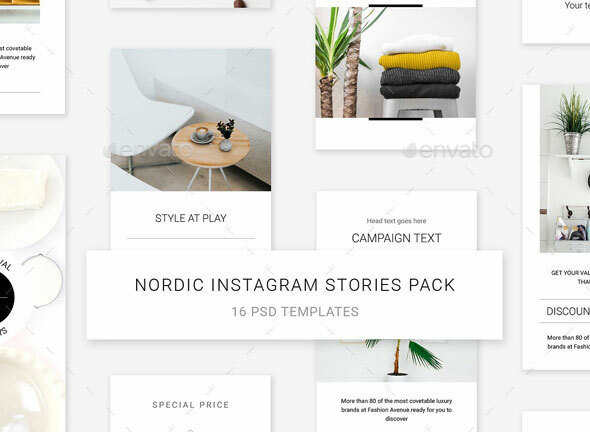 This is beatifull template to start your daily stories in your social media especially instagram. 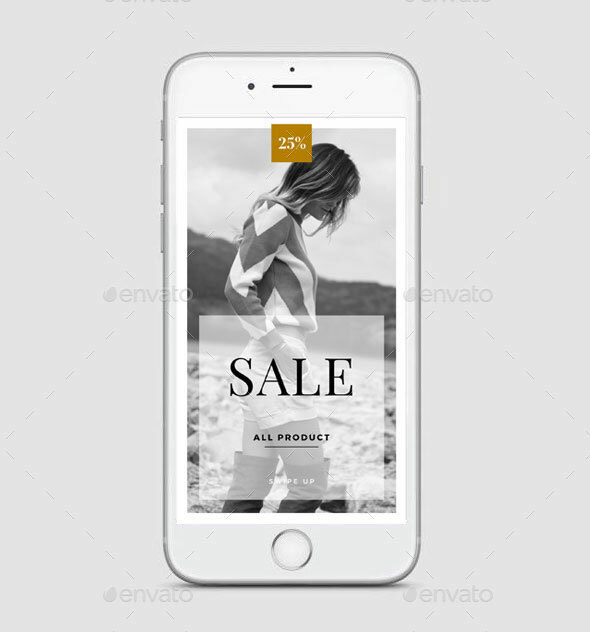 The product includes 16 templates designed natively for Instagram. However, You can also use the design on your Blog and etc. The pack works correctly only in the program Adobe Photoshop CC or CS. 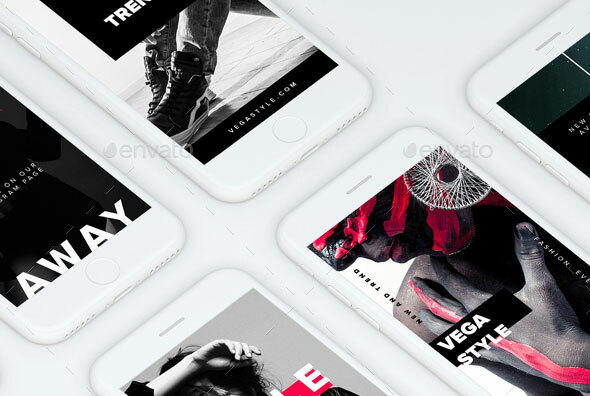 Instagram Stories Pack contains 25 design variation templates made with love. 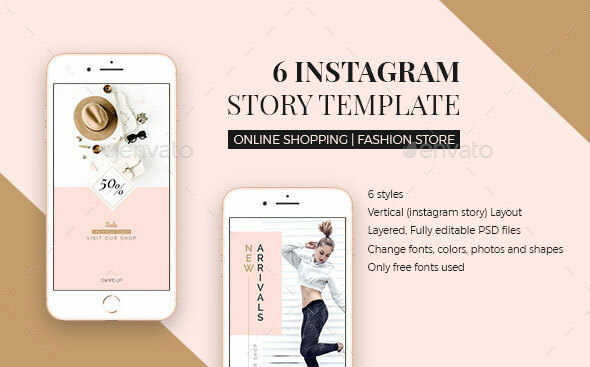 These template are suitable for promotional purposes on your Instagram stories, easy to modify the template using Adobe Photoshop. This template will help you create stories in less than 3 minutes. 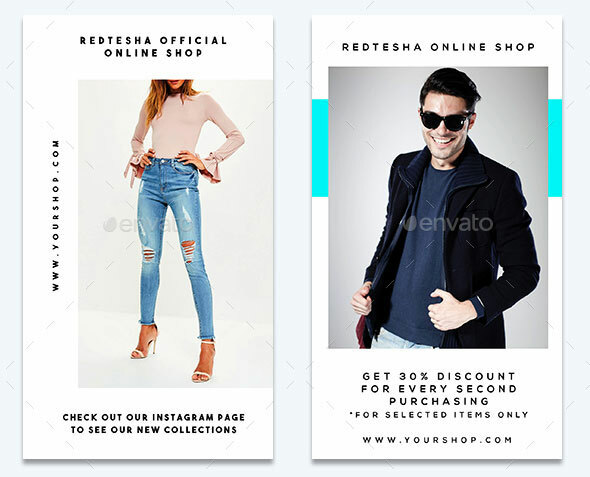 Promote your services and products in your instagram stories and pages using our fully customizable Instagram Stories Template. 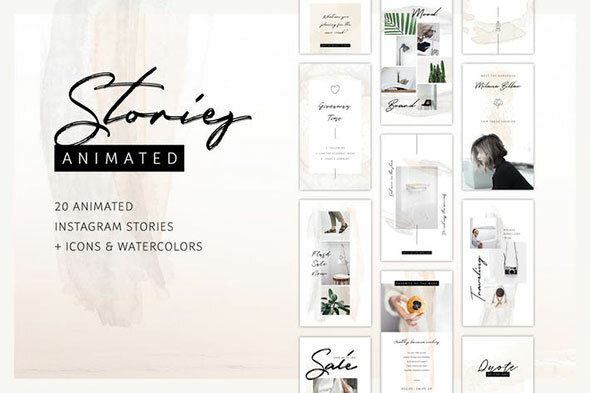 Eligible for All Kinds of Business Instagram Stories Template are perfect to promote events, products or important notices such as Flash Sales, Webinar Announcements, Workshops, Recipes, Work News, Engagement Booster and more! The templates can be applied to any business type. 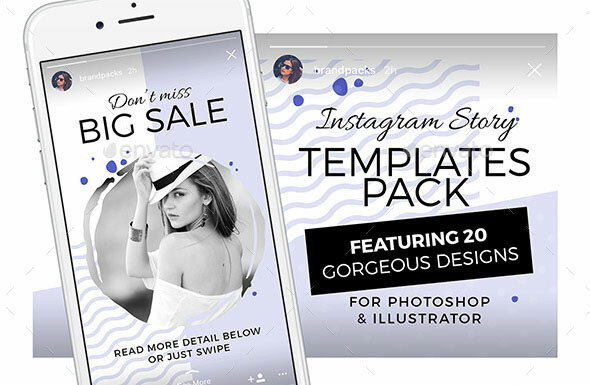 This pack contains 12 Instagram Stories’ templates or fashion, photography, and clothing sales. Also suitable for cafe and restaurants. 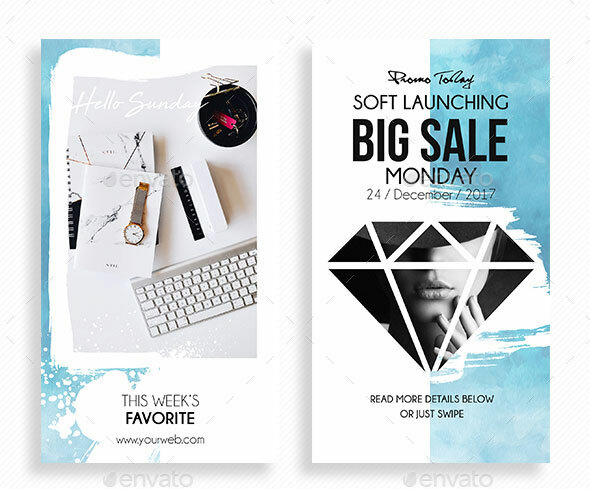 Each of these banners are easy to use, change everything from texts to images in just few clicks. 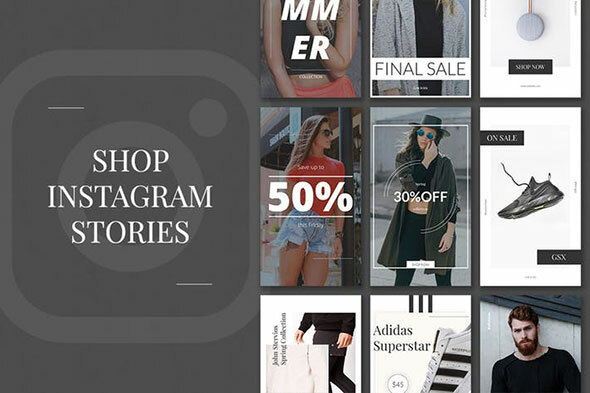 Looking for instagram Stories template for promoting your online shopping or your fashion tag-line? Check out this item. 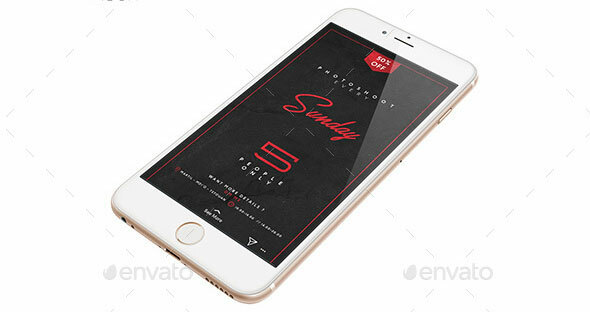 Available 10 Instagram templates and all of these PSD templates are layered and fully organized. Sharing photos of their clients, who use fitness products has a great impact among consumers. Also having inspirational and motivating content is the right way to go here. 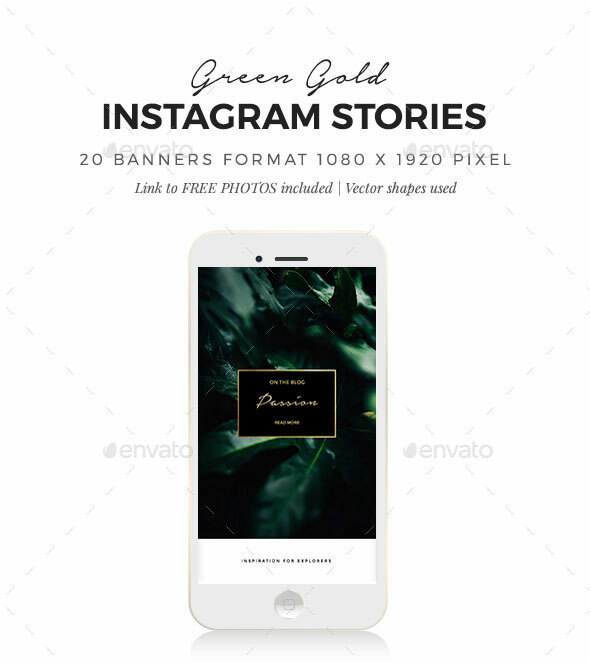 10 simple and awesome promotional instagram stories templates. 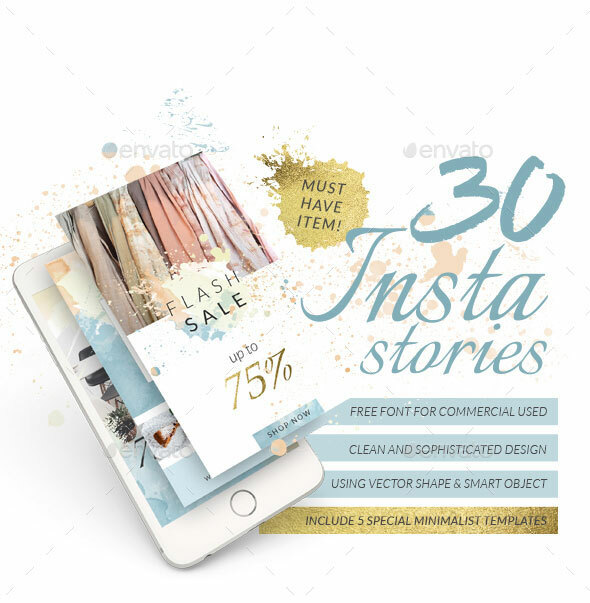 Great for your promotions on instagram. 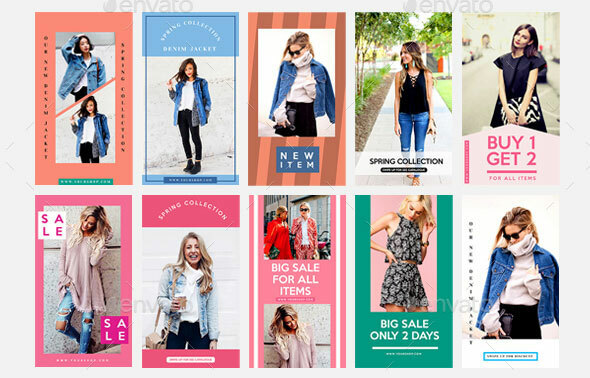 Create gorgeous designs for Instagram Stories with these readymade templates for Adobe Photoshop. 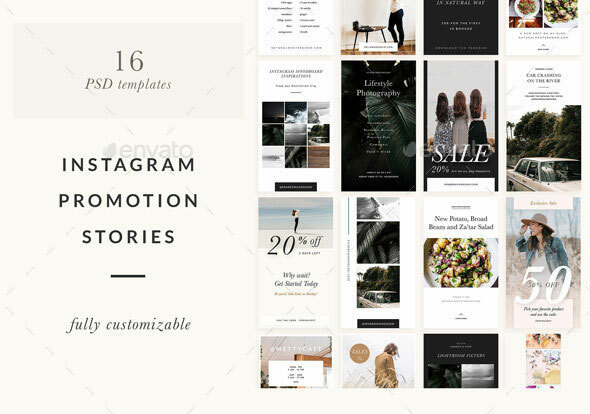 Available 10 Instagram templates and all of these PSD templates are layered and fully organized. 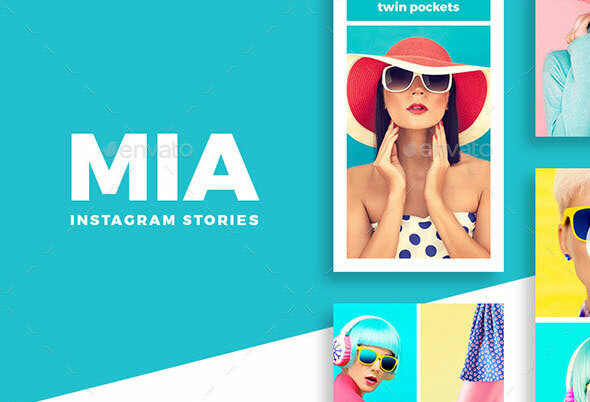 Instagram Stories Templates is a powerful social media tool that will help you become an Instagram influencer in just a few clicks and take your Instagram stories to the next level. Standing for a cause your customers believe in can drive immense engagement. This template was made for just that. You can use this to either start your own trend or to leverage an already existing trend. Instagram Stories paired with great content, can open doors for businesses to connect and build more trust with their audience, enhance contests and campaigns and drive more engagement. 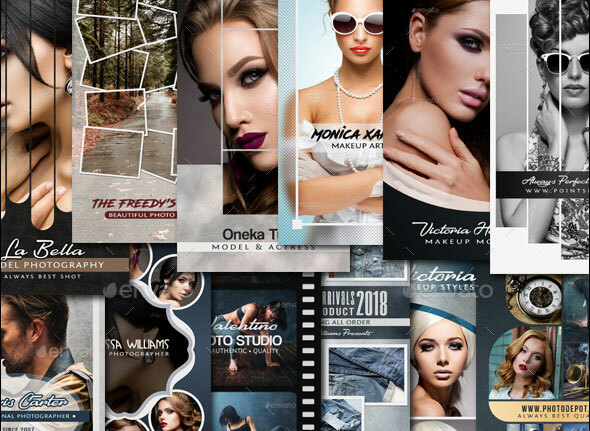 This Pack gives your business a style boost with its cute and elegant look. It is optimized for Instagram stories and posts. It is prepared with a strong fashion theme but you can use it for any field you need thanks to its high funcionality. 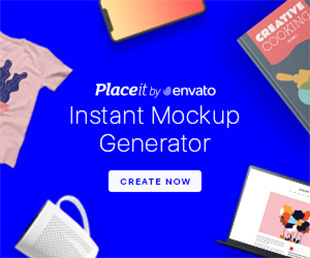 It`s time to share the news and bring the hype, and the Infopreneur Instagram Pack is your secret weapon for effortlessly spreading the word to your tribe. 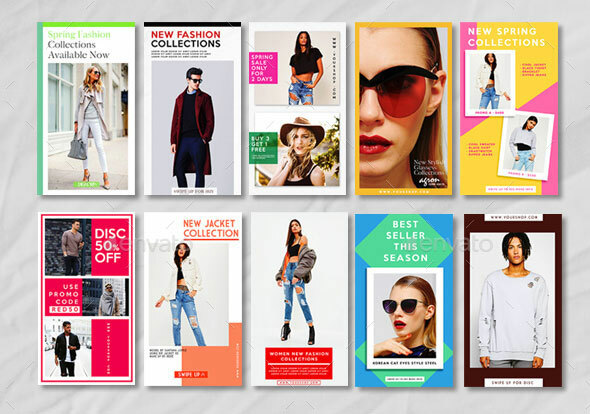 These oh-so-easy to use Photoshop templates have been created with you in mind, using tried and true layouts that grab readers` attention and drive traffic. Say goodbye to a quiet Instagram account and hello to simple and beautiful graphics that hook your audience and keep them coming back for more. Use an Instagram Story to create suspense about your product. By doing this, you increase the buzz around your product. 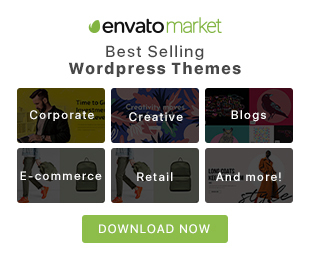 It indirectly drives traffic to your site and even drives sales!